T he Israeli historian Shlomo Sand does not only negate the existence of a „Jewish People,“ but also of the so-called „Land of Israel.“ Both are Zionist inventions, i. e. myths. With both hypotheses, Sand could only come forward after his official retirement from Tel Aviv University. In Israel, questioning the mystical raison d’etat is life-threatening. Be that as it may, in the Israeli press there is still a controversial and open discussion about his viewpoint possible. Such a debate would be impossible in Germany, not to speak of the US, where the Zionist Israel lobby puts a stranglehold on the media. The mainstream media don’t publish negatively about Israel. The crimes of the Zionist occupation regime are put into perspective or even whitewashed. Before Shlomo Sand published his groundbreaking books, Simcha Flapan had set the course with his book „Die Geburt Israels.“ The Zionist fairy tales should once and for all be a thing of the past. Recently, Ilan Pappé has disenchanted the ten founding myths of Israel. In German here. The newest debate on the ‚historic right‘ of Israel’s existence can be followed here. 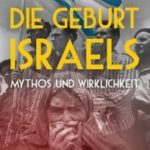 Dieser Beitrag wurde unter Israel/Palästina, Zionismus/Rassismus abgelegt am November 21, 2018 von Ludwig Watzal.